Are you in need of professional Bellingham drain cleaning and repair services? Get in touch with the skilled professionals at Eagle Plumbing & Heating. Call us today at (360) 318-9999. Click here to save on many of our valued services. Eagle Plumbing & Heating knows how important fully functioning drains are to a ensuring a safe and efficient home. Scheduling regular drain cleaning services with our skilled professionals will help to keep your plumbing systems in optimal working condition. We also offer specialized repair services to the residents of Bellingham and the surrounding areas in order to correct more serious issues. By clearing away stubborn clogs in a timely fashion our trusted staff can help homeowners to avoid more severe drainage problems in the future. 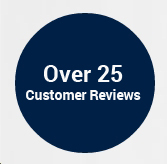 To see what other customers in your area are saying about our quality services, click here. What are some common signs you need professional drain cleaning services? Clogs can occur for a number of reasons that range from too much waste being flushed down your toilet to foreign objects that accidentally find their way into your drains. There are several signs that you may notice which indicate the need for professional drain cleaning service. When you discover that the water in your sinks or bathtubs is not emptying out of your drains, it could be a sign of a severe blockage deep within your piping system. When you have a partial clog, the water may drain much slower than normal. Because clogs can grow over time, a partial clog should be cleared away immediately. If your toilet takes a long time to clear out, starts backing up, or will not flush at all, there is likely a clog that will need to be removed through professional means. Multiple clogs that happen in the home at once is an additional sign that expert drain cleaning services are needed. What are some benefits of regular and timely drain cleanings? Most drains are likely to develop clogs over time. Destructive substances like hair strands, grease, soap residue, and food particles will gradually build up in your pipes and eventually cause a clog, which may become more pronounced as the situation worsens. With regular and timely drain cleanings from the skilled professionals at Eagle Plumbing & Heating you can prevent clogs from developing, and any clogs that are already present will be cleared away quickly. With our professional services you can improve the longevity of your plumbing systems, and minimize the risk of emergency repairs. Avoid flushing excess waste or foreign objects into the toilet. Use drain covers to prevent unwanted particles from entering your pipes. Run hot water down your kitchen sink for a few minutes after every use. Do not place cornhusks, apple cores, chicken bones, and other damaging food waste into your garbage disposal. For exceptional drain cleaning and repair services in your area, get in touch with the reliable professionals at Eagle Plumbing & Heating. Call us today at (360) 318-9999.